Simon Carter and Rad Russel collaboration shoes in store now and coming to the website soon. 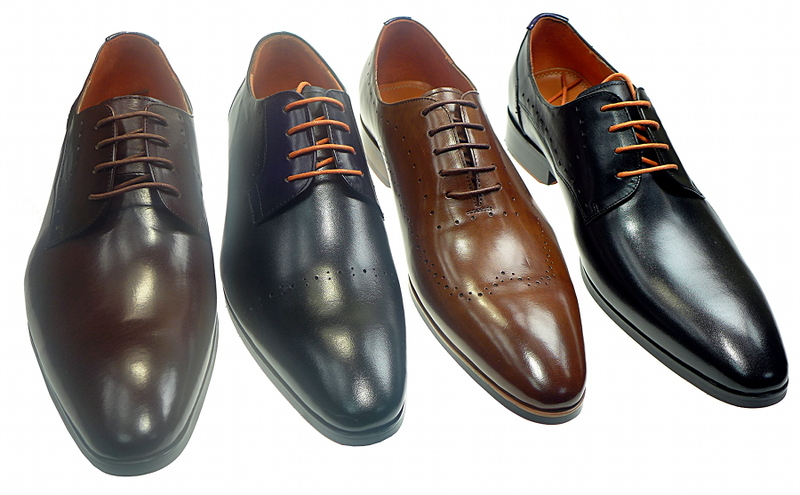 These are top quality handmade shoes featuring crazy attention to detail, quality leathers, super comfort fit. Each box contains a pair of shoes, orange shoe horn, two pairs of waxed cotton laces and individual dust bags. There are two styles of shoe: The Wholecut which takes its name from the outer being made of one whole piece of leather (style number 06). The second is the Derby which has the eyelet’s sitting above the upper on two separate pieces of leather (style numbers 07 and 08). The upper of the shoe is calf leather. The lining is a sheepskin leather. This allows the imprint of the foot to be taken quickly by the shoe for increased comfort. Fewer weeks of having to wear them in! The Heel inner is suede to increase grip and comfort. Durable and Soft latex cushions covered with sheepskin leather offer a supportive inner and help maintain comfort around the foots arches. Anti-slip rubber outer-sole in the signature Simon Carter house Paisley. Ideal for London weather as the rubber provides essential grip and durability (compared to a leather sole).